Hi! My name is Oren Shalmy. This blog is a collection of articles discussing various technologies used in video and film post production. Some posts are original, most are not. From open source tools and rebel techniques to high-end DI, digital distribution, animation and VFX. Canon announced an update for EOS Movie Plugin-E1 for Final Cut Pro! Canon announced an update for EOS Movie Plugin-E1 for Final Cut Pro! : "
If you missed it Canon announced a few days ago that it will soon release a new update for EOS Movie Plug-in-E1 for Final Cut Pro! This plugin has been created by Canon in order to easen editing of EOS Movie footage in the FCP suite. Originally launched in February 2010, EOS Movie Plug-in-E1 for Final Cut Pro is designed to quickly and seamlessly convert EOS Movie footage from Canon’s leading range of EOS DSLR cameras to Apple’s high-quality ProRes 422 codec. It converts the footage at approximately twice the speed of Apple’s standard conversion, creating a smoother workflow for the rapidly growing number of videographers shooting HD video content on DSLR cameras. The new version of the plugin will be available to download for free from 25th April 2011. Just to remind you Canon’s plugin software will only work with Final Cut Pro versions 6.0.6 through 7.0.2 and later. Mac OS X 10.6.4 or later is also required. Video sweetening: "Color grading for mood, style and story Video “sweetening” is both a science and an art. To my way of thinking, Color correction is objective – evening out shot-to-shot consistency and adjusting for improper levels or color balance. Color grading is subjective – giving a movie, show or commercial a “look”. Grading ranges from the [...] "
ALEXA 3D - ANOTHER NEW ALEXA - THIS TIME IT’S M: "
Republished with permission from www.definitionmagazine.com ANOTHER NEW ALEXA - THIS TIME IT’S M ARRI is developing a further model in the ALEXA family of cameras: the ALEXA M - a new, remote solution consisting of a separate camera head and body. At the Arri press conference it was also announced that the Cameron Pace Group, James Cameron and Vince Pace will be entering an agreement to co-develop the camera system and as a result that Group will have exclusive commercial access to the first systems to be made available in September 2011, Serial production and sales release of the ALEXA M to all customers will commence during the first quarter of 2012.” ALEXA M is tailored for action photography, tight corner shots and 3D productions. Based on proven ARRI technologies, the M model features the same great image quality that has made ALEXA so popular. The M head is optimized for small size and low weight, offering the flexibility when used on lightweight 3D setups. Multiple mounting points on top and bottom allow an easy setup onto existing 3D rigs. Head and body are connected with a fibre optic cable that can also be used for powering the head, depending on distance. The back end provides various recording options, just like the standard ALEXA does: images, sound and metadata can be recorded onto SxS cards or on external recording devices, offering different kinds of workflows. ALEXA M has a PL mount, works perfectly with all existing 35mm lenses and is compatible with a wide range of ARRI accessories. "There were a lot of unanswered questions," Gary Greenfield tells THR of Apple's Final Cut Pro presentation. "But I think it just reminds people that Avid is going to wake up and serve your professional needs." Final Cut X: Discuss: "
In this video, Cammon and I discuss some of our worries about FCP. After doing this video earlier in the day and discussing with others, someone pointed out for those that have used FCP alone for so long this is a great update. For those of us, like myself, who use other NLEs to edit, there is some potential frustration in the kind of upgrades Apple decided to make. I hope I am just making a big fuss about most of this and everything really is just in fact that cool. I would love it. 4K LCD Screens … on a Beamsplitter Rig! 4K LCD Screens … on a Beamsplitter Rig! : "
OK, this is interesting. In the rear of the Central Hall at NAB — if you’re reading this from the show on Thursday morning, you have time to go back there and check it out — the Japanese company Keisoku Giken (KG) is showing the oddest beast I saw at NAB this year. The company’s 27.8-inch 4K-3D monitor uses two separate LCD panels and the “half-mirror method” to display a 3840×2160 3D image. In other words, it’s sort of like a beamsplitter rig for two displays instead of two cameras. When you put on a pair of passive 3D glasses, directing the differently polarized light from each monitor to the corresponding eye, you see the resulting image in glorious 3D and at full resolution — without the eyestrain sometimes associated with active-shutter glasses or the resolution hit taken by other passive systems, which only display half-resolution images to each eye. The picture is gorgeous, with a fine level of detail that fools the eye, making you feel like you’re peering into a tiny, moving diorama. KG sells the product worldwide while Korean partner Red Rover, which has a patent on the structure, is the U.S. reseller. The companies hope the screen will find a home in the U.S. post-production market, but it’s a fairly unwieldy beast, especially compared to the flat screens that have become commonplace in the post-CRT era. If you want to take one home with you, you’ll have to wait until at least this summer — and you’ll be shelling out $120,000. More info is in KG’s press release. My thoughts on Final Cut Pro X…: "
My thoughts on Final Cut Pro X. http://tinyurl.com/3w9uzbb It’s taken a while – NAB gets in the way when you teach and do meetings. Pure RAW Testing with ArriRAW Live: "
Pure RAW, part of Pure Digital Services, have spent all day yesterday prepping and testing another ArriRAW LIVE system from Mistika in the UK for our upcoming ArriRAW projects, of which one is in 3D and another data show for Disney. We consulted with Mistika and Steve Shaw at Light Illusion to create a full onset workflow for ArriRAW and are delighted with the results. The ArriRAW live unit allows for real time 3K playback on location and near real time full technical debayer, all created and delivered on location, allowing for speedier workflows, full 3K DPX delivery to Post, 3K playback and verification on set including full dailies and offline content, including iPad screeners, all from the fully debayered Master DPX and all created near set. I have uploaded some images from our UK test yesterday at www.puredigitalservices.com within the blog page, do take a look. More details coming during today at NAB plus a full technical evaluation on our blog pages this week. Thanks must go to Mistika SGO and Geoff Mills, Light Illusion Steve Shaw and Sandy and to S.two for all the hard work and research to bring this system to market, thankyou all. The Foundry Previews NUKE 6.3 and MARI 1.3 at NAB: "NUKE Product Manager, Jon Wadelton, will be previewing NUKE 6.3 which provides new tools, reducing the need to leave NUKE for external applications. New Spline and Grip Warpers, 3D particles, a Planar Tracker, new Denoise and audio scratch track all improve fluidity and flexibility of workflow, saving artists time. Jon will also be previewing a brand new workflow combining NUKE and MARI to provide 3D paint to compositors, allowing them to conquer common issues such as stretching, seaming and occlusion often encountered during environment creation and texture projection.... "
See how Thunderbolt makes CS5.5 faster at NAB: "
With the first two days of NAB 2011 behind us, the hot topic around hardware in the South Hall was definitely Intel’s Thunderbolt port technology. Maybe you’ve read about Thunderbolt or had co-worker try and explain it, but the simplest way to understand it is to just find a demo running on the showfloor and take it for a spin. In the Adobe booth, we put together a complete system running on Apple’s new Macbook Pro 15” connected to a Promise Pegasus Thunderbolt raid array connected to a BlackMagic Design Ultra Studio 3D with SDI output to an iKan portable SDI display. From the description above it sounds like a lot of cables and wiring, but in fact, it’s quite simple. Each Thunderbolt device has 2 ports and are linked together in a daisy chain configuration with very small but sturdy cable. The result was 800MBs throughput of shear madness. For a quick test, we threw down some 422 1920x1080 Uncompressed footage in Premiere Pro CS 5.5 with data rates between 126 – 158 MBs and started playing the timeline with ease. Next we tested fast and slow scrub and it was silky smooth to the touch- It was like we were playing DV. I’ve never seen anything like it running off a laptop. We continued putting it through the paces stacking on 3 and 4 layers of video throughout the day and inviting customers to feel the power of this new level of editing. After Effects CS 5.5 also had no problem playing the uncompressed footage in realtime. The Adobe booth appeared to be the only place where you could actually see the full workflow of editing with Thunderbolt. BlackMagic Design has done an incredible job in being the first to show off this next generation editing platform running on Premiere Pro CS 5.5 and After Effects CS 5.5. If you get a chance, stop by the Adobe booth and take it for a spin. Lastly, as I walked around the South Hall show floor, Adobe 3rd party partners like AJA, Matrox , and G-Technologies all hadThunderbolt products or planned products on display. It’s crystal clear to me that this is huge step forward and we are well on our way to a new standard. NAB ’11: First Look at the Sony F65 CineAlta: "
One of the most intriguing announcements prior to NAB was a new high resolution Digital Cinema camera from Sony that promised “True 4K and beyond”. We were finally able to get a sneak-peek at the Sony F65 CineAlta here at NAB. Watch my video above to learn more about the industry’s first 8K camera and the first camera to support the IIF ACES color space. The “Future” of editing: "
Yesterday was a whirlwind day. Started off early at a breakfast meeting with the top level executives of Avid and ended with the always entertaining Supermeet. Ok, maybe this year’s Supermeet was a little more entertaining than most. Let’s start with this morning. For the first time I can truly say that “Avid is listening.” I’ve seen the moniker on their site in the past and I kind of laughed. I mean this is Avid we’re talking about. The company that tells us how we can purchase their software and hardware and if we don’t like it we can go somewhere else. Ok, maybe that’s how they used to do things, but it was clear from our meeting today, Avid is truly changing the way they do business. It seems to have taken a while for it to really sink in but there is a definite shift in the tone coming from the company. There is a real willingness now to open up the software to third party hardware as we have seen from last year’s Matrox reveal to this year’s AJA Io Express. First off, it was impressive to me that not only was I meeting with their PR folks, but the CEO and many of the top management and marketing team. One on one for about 90 minutes and I was free to ask any question. Generally I’m used to having many layers of separation between me and the head of the company that makes my NLE. Of course being a Final Cut Pro guy with a bunch of AJA Kona cards, my primary interest is seeing Avid continue their migration to open up the software to even more hardware options not only from AJA and Matrox, but Blackmagic Design as well. Obviously Avid would not answer me directly on any of the hardware questions, but I get the sense that their migration towards openness will continue at some point in the future. Then there was Apple and the SuperMeet presentation. As expected, the new Final Cut Pro appears to have been built on the foundation of iMovie. But there’s nothing wrong with that, the interface is actually very efficient. You will have to re-think your way of operating, but there’s nothing wrong with taking the iMovie base and building upon that. What Apple actually chose to show was quite nice. Background rendering, Magnetic timeline with the audio always moving out of the way, and “open” timeline with no hard tracks that appear and disappear as needed, pitch corrected audio skimming, improved color correction, Audio fade controls much better, simple retiming in the timeline, color matching with single click and of course, no more transcoding / mixing and matching of formats in the timeline. These are all the super cool, wiz bang features that are the hallmark of any Apple marketing event. The two highlights for me were Audition and the Magnetic audio. Audition allows us to essentially create a floating bin of multiple clips to insert into the timeline and with simple keystroke try out each shot in the timeline. The big question among the pro editors I spoke to after the presentation was what didn’t we see? Multi format, multi frame rate, multi codec playback. We were told it’s now supported, but it was not shown, at least not that I could tell. Tape Capture / Layback. Is this still supported internally to the application or has Apple taken the stand that they do not need to support a videotape workflow at all internally? Not only is tape still being shot by many production companies, there are millions of hours of videotape archive material that has to be ingested for projects, such as the feature documentaries we cut today. In fact what about the capture cards / boxes from AJA, Blackmagic and Matrox? No mention of or appearance from them. Filters. Do filters still work in the new FCP? As in our old filters that all of us already own and any potential new third party filters for the new FCP X? How will FCP interpolate and handle archive projects that include filters? Titling. What does the new font tool look like? In the presentation a lower third was shown but it was never explained how it was created. OMF / XML / EDL Export / Import. Can we still use XML to move projects to After Effects and other platforms as needed for finishing and other work? How easy is it to move the projects around? Alpha channel / composting modes. How do these work in the new FCP? Some very nice looking effects were shown in the demo but were they created in FCP or elsewhere? Don’t know. Large project management. How will FCP hold up under a large project such as the documentaries we currently cut. My feeling is that the new FCP is well suited for shorter projects but not long form, it seems like it would simply break if you threw a feature film or documentary at it. Can’t imagine scrolling through 200 hours of filmstrips to find my shots. With some of the organizational tools it might be manageable but hard to tell. What we were presented definitely felt like a 1.0 release and Apple certainly set that bar throughout the event by comparing the launch of X to FCP 1.0. The original changed the face of NLE editing forever and they believe X will do the same thing. It certainly does with the interface and the price. Apple will absolutely build more market share for the product because at $299 every single hobbyist, school, and anyone who wants to edit video will purchase the product. That very well seems their goal with the price. How those numbers will translate into pro editors, television series, feature films, etc remains to be seen. Would have been nice to hear from Walter Murch or the Coen Brothers last night to get their thoughts on how X will improve their workflows on feature films. The reaction among the pro editors and others I chatted with after the show was tepid at best. I think an encounter by one of the folks was somewhat telling. Editor: Nice presentation but what about those features that weren’t shown? What about capture cards, filters and how it might perform with bigger projects. Other person: This Final Cut Pro isn’t designed for you. Maybe that’s what Apple is banking on. So many new folks coming into the industry who don’t know about or need capture cards. That’s who the new Final Cut Pro X is designed for. Those who will never have to retrieve an archive tape, handle more than a few hours or material at a time or interface with other applications outside the Apple brand. So Apple will “win” the NLE battle simply by sheer numbers of installed users. As they pointed out in the presentation, based on installed user numbers alone, Avid and Adobe are “fighting” for second place. It’s impossible to give a true assessment of how good / bad the new FCP X really is since this is the only time any of us will see it. Unlike those “fighting for second place” Apple is not on the show floor so we cannot ask any questions or test out the interface for ourselves. Only those very few select beta testers know for sure what is and is not included in the interface. The potential is there for the application to be a reinvention of non linear editing. But a one hour presentation left me and many other pro editors scratching our heads with many more questions than answers. Apple went for the slick, we want to know the down and dirty. At least we can go out on the show floor today and talk to those “other two companies” who are fighting for second place and actually address workflow questions. So what’s my verdict? Apple went “All In” on this one event and came out swinging with a patented, marketing presentation full of slick features. I think they hit a double. Nice hit, but not near enough power to bring it all the way home. The biggest beneficiaries of the one hour presentation will most likely turn out to be Avid and Adobe. Sure Apple will sell millions of copies of X, but those other two A’s my very well come out ahead. Final Cut X: I Don’t Get It: "
- I didn’t go to the SuperMeet. My wife is expecting any day and I decided to stay home instead of potentially miss our little girl’s birth. - I followed the feed and tweets of everyone there as best I could. - I use Final Cut Pro every day. - I plan on buying Final Cut X when the day it comes out. I know everyone there was fairly impressed with the presentation. And that’s why I think my disadvantage in not being able to go and see the presentation or feel the hype is your advantage in trying to grasp what the new update actually is. - The price is $299. That’s great. But hey, wait a second? What about the price of all the other assets in the Final Cut Studio? - 4K resolution! Wait, does that mean it can play R3D files or Redcode? Or does it just transcode it to ProRes automatically in the background? For the mean time I will just go to Apple.com and check it out there, but wait it isn’t there either. I am going to try to do a video today with Cammon Randle from BluFireStudios.com talking about it. Unofficial videos from new the Final Cut Pro X announcement: "
4 videos from the "camera bag" shown up on YouTube few minutes ago showing the whole Final Cut Pro X announcement. No comment. Watch them before Apple will take them down! <div style="direction:rtl;text-align:right">ערן שטרן מתייחס להכרזה החדשה של FCP</div>: "
I am, like so many others, very pleased Apple finally revamped FCP - its a good solid, detailed release; more substantial than the last three versions put together - BUT…. please let us not delude ourselves that this release is anything other than Apple playing catch up after having been very off the ball for the past 4 years. The only people who will find FCP X ‘revolutionary’ are those who have not used other editing systems and do not know what else is out there. The Sound of 1,700 Jaws Dropping: "
Apple this evening provided a “sneak peek” at the next version of Final Cut Pro – now called “Final Cut Pro X” at the NAB SuperMeet in Las Vegas, Nevada. The new Final Cut Pro is a bold move – a totally redesigned interface, 64-bit memory addressing, multi-processor support, tight integration of metadata in the project file with metadata stored in the clip not just in the project, heavy use of automation to simplify tedious tasks, and a rethinking of the entire concept of what it means to edit. I can’t think of any other company that could so totally redefine what a non-linear video editor is than Apple. Since the release of Final Cut Pro 1, each version of FCP has contained incremental improvements. This is a complete restatement at every possible level. Love it or hate it, our editing life won’t be the same again. Oh, and did I mention — it has a ship date of June, with a suggested retail price of $299, and will be sold through the Mac App STORE (more on that in a bit). This is why you won’t see anything about the new Final Cut on Apple’s website – this is a preview, not the launch. There is still much work that needs to be done on the software. Understanding an Apple event is like understanding a meeting of the Federal Reserve Bank. It is essential to concentrate on both what was said, and what was not said. Final Cut has been rewritten from the ground up and borrows a lot from other siblings in the suite. The audio cleanup and processing borrows heavily from Soundtrack Pro, primary and secondary color correction tools are taken from Color (see the screen shot below), and some of the motion effects techniques are taken from Motion. However, this does not mean these other applications are dead – simply that Apple is not talking about them… yet. I was reading posts this evening on IMUG and Twitter, where users were saying: “is it iMovie on Steroids?” I think this is a premature question. What viewers in the audience did NOT see was who from Apple was attending the presentation that did not appear on stage. Somehow, I managed to sit in the Apple executive section of the hall. In front of me was Phil Schiller, Senior VP for Worldwide Marketing. The head of PR was sitting to his right. The two lead engineering directors, or VPs, were sitting on either side of me. I was surrounded by top-level executives from engineering, PR, marketing, product management — literally a dozen extremely senior executives were sitting in the front two rows. Apple would not send this level of executive talent simply to watch the roll-out of a product that they did not care about. SIDE NOTE: I was sandwiched between two senior engineering executives who had as much fun as anyone in the audience watching the demo and applauding. I suspect it was because they were finally seeing the public result of years of behind-the-scenes work. Another interesting data point. This presentation was almost exactly the same one that I saw six weeks ago in Cupertino. Apple used it then to get feedback from a small group; I suspect they are using this exact presentation tonight for the same reason — to get reactions from a much larger group. * Rendering is now in the background and much faster because it harnesses the power of the GPU. * The 4 GB memory limit is gone – FCP will use as much RAM as you have installed on your system. * FCP X now uses all the processors on your system, not just one and a half. * It supports editing video image sizes from standard definition up to 4K. * It uses fewer tools from the Tool palette (which is no longer there, by the way) by making the cursor smarter. WHERE you click something determines WHAT you can do with it. * While new features like the magnetic timeline, permanent audio sync and auto-metadata generation are flat-out stunning. NOTE: Nothing said, or implied tonight, indicated that you would need any special hardware. My guess is that any Mac you buy now will run FCP perfectly. Also, contrary to some rumors, I spoke with Apple engineering about Thunderbolt. This is a system level I/O connection. If your Mac has it, ANY version of FCP – or any other Mac application – will take advantage of it. While the slide show was identical to the February meeting, the demo was not. Randy Ubillos, who did the demo, added more features and additional explanations on effects (see the screen shot above). However, I was told later that the build that was demoed was the same build that was shown in February – and that the application has moved significantly forward since that time. In other words, what we saw tonight was nowhere near the final form of the application. * Adding fades with a keystroke, or by pulling in the top corners of a clip, with four different fade shapes, rather than the limit of two inside FCP 7; these, too, borrow interface ideas from Soundtrack Pro. In brief, the crowd was loving it. Granted, many of them got well-lubricated at the open bar before the event, but nonetheless, everyone seemed to have a good time. The new interface drew applause, 64-bit support and background rendering had people drooling and the new price of $299 received a standing ovation. I’ve been thinking hard about this since I first saw the software six weeks ago. And, truthfully, I’m very torn. There are some features here that I really like a LOT. There are a few that I don’t like at all. But there is a great deal that has not yet been said. And that, I think, is the key point. The devil is ALWAYS in the details. Apple has done its usual magnificent job of previewing a new product. But this is only the preview. I met Randy Ubillos, Chief Architect for Video Applications at Apple, after he presented the demo of the software. I told him that parts of what I saw I liked a lot and parts had me quite concerned. And I asked if Apple was interested in our feedback. He immediately said that Apple is VERY interested in our feedback, that they are listening and want to make this application something that all of us can be proud of using. * The retail price for FCP is $299 – but what is the retail price of the other software parts of the Suite? Are we back to ala carte pricing? * The application will be sold through the Mac App store. What happens to all the great data files that were available with the suite in earlier versions? * How does FCP X work with existing FCP 7 projects? * What other applications ship with Final Cut and how do they integrate? * How many of our existing plug-ins, peripherals, hardware, and other gear need to be updated to work with the new software? * Editing does not exist in a vacuum, how do we share files, clips, metadata, and project information with other software tools? * How does it handle media? * Real-time, native video processing is great for editing – however, we still need to transcode to get files on the web. How? As of tonight, Apple hasn’t provided answers to these, or many other questions. As they do, or as I’m able to find them out, I’ll share them with you in this blog and my newsletter. As one engineer told me at the Cupertino meeting in February, Final Cut Pro is still a work in progress. We’ve seen the outline of the work – the rough cut, if you will. Now we need to give the engineers time to listen to our feedback, polish it up, and deliver the final cut of Final Cut. I’ve made a promise to myself to provide training on the new version of Final Cut Pro as soon as possible after the release date. If you are interested in getting up to speed quickly on the new version – please sign up for my free monthly Final Cut Studio newsletter. As I learn more, I’ll be sharing it with you there. And as I make new training available, I’ll announce it there first. For now, I’m going back to the drawing boards. I’ve got a lot of new work to do. BBC Approved HD camera list 2011: "BBC APROVED HD CAMERAS Studio Cameras • Sony HDC1500 • Sony HDC1550 • Sony HDC1400 • Sony HDC1450 • Sony HSC300 • Sony HXC100 • Grass Valley LDK8000 Elite Worldcam • Grass Valley LDK8000 Elite Standard • Grass Valley LDK4000 Elite 1080i HD Handheld • Canon XF305 • Canon XF300 • Sony PMW-EX1R – with [...]"
NAB 2:New Apple 64 bit Final Cut Pro X announced for $299. Available in June: "
At tonight’s Supermeet at NAB Apple previewed the much expected Final Cut Pro X. The long long needed new version of the my editing software of choice, Final Cut Pro. Every version of Final Cut until now has been built on top of version 1. This new version has been rebuilt from the ground up. So we are talking a totally new interface, enormously new features and finally 64 bit support and for up to 8 cores…I have had over 8gb ram on my MACs for years yet until now FCP has not utilised more than 4gb or supported 64 bit computers. New features includes support for automatic image stabilisation on import, audio clean-up, non-destructive color balance, shot detection and face detection which sound a bit imovie like, but nothing wrong with having some of those cool features, I am snobby about having some of those features. A rolling shutter fix is also included as is the much long for and much needed background rendering. I haven’t used it yet so the the proof will be in the pudding but I am very much looking forward to it. Open minds are the best! The more info the get the more I will share here so keep checking back! There is a hell of a lot of automation going on there, bit like auto mode on cameras…I just hope it’s better than that or we can turn it all off and go full manual if we want to! The price is crazy cheap at $299, that is actually slightly worrying as it is veering into consumer pricing…as long as it stays pro…PLEASE, if not I always have my Adobe CS5 to get my head around more! Just don’t drop the “PRO” from the title Apple!! One key thing…no mention of studio…what about MOTION, “COLOR” etc? mmmm…. Codex Digital Debuts Standalone On-Set Laboratory for RED, ARRI and Sony: "(NAB 2011 Booth C8615--April 11, 2011) At NAB 2011, Codex Digital will debut The Vault, a next generation on-set laboratory solution for review, and dailies and deliverables production that supports digital cinema cameras made by RED, ARRI, Sony and other leading manufacturers. Codex Digital will be demonstrating The Vault at Booth C8615." JMR And Fusion-io Collaborate To Deliver High Speed Solutions: "Combination of Native PCIe Non-Volatile ioMemory and PCIe Systems Provides 5K Stereoscopic Playback at NAB (NAB 2011--April 11, 2011) JMR Electronics, Inc., a leading value provider of scalable storage solutions since 1982, today announced their partnership with Fusion-io, the pioneer of next generation server-attached storage memory platforms for shared data de-centralization." Codex Digital to Demonstrate IIF/ACES Workflow at NAB: "(NaB 2011--April 11, 2011) At NAB 2011, Codex Digital will demonstrate a first-of-its-kind dailies workflow for television and film utilizing the new IIF/ACES post production process. The demonstration will use Codex’ Onboard Recorder and Desktop Transfer Station to produce deliverables, with IIF/ACES dynamic range, for editorial, post production and dailies review. The demonstration will be conducted at the Codex Digital Booth, C8615. Developed by the under the auspices of the Academy of Motion Picture Arts and Sciences' Science and Technology Council, the IIF/ACES process has generated considerable interest as a way to establish a standard format for digital production. Currently, television and film production is complicated by the existence of multiple formats used by various digital cameras and post production applications, resulting in inefficiencies and incompatibilities, and losses in image quality." 3D camcorder and the upcoming P2 AVC-Intra based stereo AG-3DP1. SCRATCH is a cinema and broadcast finishing tool for digital workflows, while SCRATCH Lab is a Digital Lab tool for the review, versioning, colour grading, conform and deliverables in on-set and VFX dailies pipelines. Shipping in June 2011, both SCRATCH 6 and SCRATCH Lab will support Panasonic’s native AVC-intra, P2/MXF format, and provide DI tools for the native AVCHD format. The purpose is to give productions shooting on Panasonic cameras a digital pipeline from shoot through post-production. Native format support in SCRATCH means transcoding of data from Panasonic cameras is not required. Formats and camera footage can be integrated from a variety of sources. Post teams can use SCRATCH CONstruct to create unlimited versions of material and review side by side, working in real-time without having to render. Users receive regular SCRATCH updates with new tools and support for new digital cinema developments. SCRATCH already directly supports RED ONE, the new RED Epic 5K camera and HDRx format from RED. ASSIMILATE worked with a pre-release Epic SDK to optimize SCRATCH for a 5K workflow. The system handles all current specifications of the RED Epic camera, and works in real-time on native R3D 5K files. ‘Pirates of The Caribbean: On Stranger Tides’ has deployed SCRATCH to handle RED Epic 5K footage. Multiple SCRATCH systems were involved in a 3D stereo workflow developed and managed at Company 3 in Los Angeles. Company 3 has used SCRATCH for projects shot on RED since 2007 including the full-length RED features ‘Gamer’ and ‘Fright Night 3D’. Company 3 established a set-to-post workflow that travelled with the production as it moved between locations in Hawaii, Los Angeles, Puerto Rico and Pinewood Studios, UK. 3D stereo footage and metadata passed continually back-and-forth between near-set SCRATCH systems at the different locations and systems at Company 3’s facility in Santa Monica and Deluxe 142 in London. During the main production, shot using RED MX cameras, SCRATCH was used for 4K technical reviews, convergence adjustments and primary dailies grading of RED R3D footage, and later for the review and 2K digital projection of graded dailies. The digital imaging technician ran a separate SCRATCH on-set in combination with 1 Beyond’s Wrangler Pro for instant full-resolution, real-time checking of stereo R3D material. All SCRATCH systems were fitted with dual RED Rocket accelerator cards. Photoshop and iPad in perfect symbiosis? Photoshop and iPad in perfect symbiosis? : "
The iPad changed the way we read the web or our mail and now it can change the way we paint and use Photoshop! Adobe will release 3 iPad apps which will connect wirelessly the Apple's tablet to your Mac or PC. All three apps will link to Photoshop CS5 running on your computer, and let you use the multitouch display to control various functions. All of these apps use Adobe’s new Photoshop Touch SDK. This software development kit lets anyone write iPad apps that interact with Photoshop. With Adobe Eazel, you can use your iPad and your fingertips to paint beautiful works of art. Paint across your entire iPad screen, and easily access the tools you need. Send your artwork directly to Photoshop CS5 from any location—all you need is a network connection between your iPad and computer. Or do all your painting in the app, and share via email. With Adobe Color Lava, you can use your fingertips to mix colors on your iPad and create custom swatches and five-swatch themes. Instantly access them in Photoshop CS5—all you need is a network connection between your iPad and computer. Or use the app wherever inspiration strikes, and then bring your colors into Photoshop CS5 when you're connected. Share colors via email, too. With Adobe Nav and a network connection between your iPad and computer, you can customize the Photoshop CS5 toolbar on iPad to easily access the tools you use most. Browse, reorder, view, and zoom in on up to 200 open Photoshop documents on iPad. Tap a document on iPad to make it the active document in Photoshop CS5. Disconnect from the network and use iPad to easily share files in person with others. Check out the video below to see these apps in action! Media Express 3 Key Features Timecode accurate capture and playback to Uncompressed YUV or RGB QuickTime, AVI and DPX on the Mac OS X, Windows and Linux platforms. Supports SD, HD, 3D, 2K and 4K capture and playback. Advanced dual stream 3D workflow capturing left and right eye to separate files. Apple ProRes, DVCPRO and MJPEG capture and playback support. Automated batch capture, playback and logging. Clip bins for organizing clips into groups. Attractive and intelligent thumbnail and list views. Maxx Digital improves Ethernet SAN: "
Briefly from the Maxx Digital booth today They’re showing off a new 10 gig ethernet SAN that removes many of the issues that have slowed down this method and Apple’s Ethernet controller changes. Also we can now have one SAN that serves both super high speed needs such as 4k and the Ethernet based ProRes workflow off one media pool. But you can also direct connect multiple workstations to the RAID so those would get 300MB/s. Stop by Maxx’s booth to see it. iPhone 4 and iPad 2 with glasses-free 3D experience! iPhone 4 and iPad 2 with glasses-free 3D experience! : "
It is amazing how new and recently-released hardware is able to unleash the creativity of innovators all around the world. With the use of iPad 2’s and iPhone 4’s front facing cameras, Jeremie Francone and Laurence Nigay of the Engineering Human-Computer Interaction (EHCI) research group of Laboratory of Informatics of Grenoble, have figured out a way to simulate a 3D effect on these two devices without the use of stereoscopic or anaglyph 3D glasses. The system invented by European engineers tracks the head of the user with the front facing camera in order to create a glasses-free monocular 3D display. Such spatially-aware mobile display enables to improve the possibilities of interaction. It does not use the accelerometers and relies only on the front camera which tracks the exact location of the user’s head and renders view dependent images on the screen to create a realistic illusion of depth and space. Check out the video below to have a taste of this impressive idea in action. The Sports Channel of Israel Adopts Stergen’s 2D to 3D Conversion System for 3D Broadcasts: "
Stergen Hi-Tech is proud to announce that it has cut a licensing deal with the Sports Channel of Israel, also known as Sport 5. The Sports Channel has chosen Stergen Live system as the Channel’s conversion solution for its upcoming 3D broadcasts, starting on April 16th, 2011.
colour management system and PILOT, a controller for telecines, VTRs and image processors. The PSi Spirit interface can be installed in any Spirit Classic or Shadow telecine to speed up scanning to 2K DPX files. The system provides video monitoring and simultaneous video and file transcoding for SD/HD or offline versioning. PSi can be added on to an SD machine without modification, as an instant upgrade to 2K and HD capability. The PLUTO display colour management system manages 1D and 3D LUTs across multiple displays from a single location. PLUTO can be operated from the local panel or via an ethernet-based remote GUI, including multiple PLUTO-ganged controls. PLUTO can also be configured to add variable blanking and safe area cursors and will generate profiles for displays. PILOT is designed as a post-production system controller for telecine, VTR and image processors with edit control and an intuitive GUI. The system controls all the parameters of the machine from a T3 control panel. Tweak’s RV image and sequence viewer for VFX and animation artists. Artists can playback and review media within a customizable dailies workflow and a media architecture that lets users automatically combine media of different resolutions, frame rates, colour spaces and audio sampling rates. RV SDI adds Dual Link SDI output with embedded audio to RV using Nvidia Quadro SDI hardware. RV SDI will support Linux and Windows. RV SDI handles stereo over Dual Link high res, high bit depth SDI and 24 bit embedded audio. Colour handling includes HDR, floating point and linear light pipeline. You can organize and annotate media for desktop or dailies review, and collaborate with other artists, clients or vendors for remote review. Sequences can be edited with lightweight intuitive tools, and layout shots or cuts compared in tiled views or A/B compares with wipes. Facilities may script, customize and automate RV to fit into existing pipelines. NEW from NAB the Sony F65: "The F65 is a top-end motion picture camera. It features a true step-change in sensor technology, using a 20.4 Mega pixel CMOS sensor and a unique Double Bayer pixel orientation for full green resolution. The F65 runs up to 120Fps, creates HD/2K or genuine 4K resolution (4 times HD) images with a wide colour gamut, [...]"
Colorfront Debuts On-Set Dailies at the 2011 NAB Show: "
LAS VEGAS, NAB Booth C8615 — April 8, 2011 — The 2011 NAB Show marks the North American debut of On-Set Dailies, Colorfront’s sophisticated and innovative digital dailies system for filmmakers. First previewed in Q4 of 2010, On-Set Dailies has already been adopted by major studios, labs, and post facilities in the U.S. and Europe, and at NAB booth C8615 (Codex Digital), Colorfront will be demonstrating significant new enhancements to the system. On-Set Dailies offers an all-embracing approach to digital dailies workflow, integrating all the necessary tools — including playback and sync, QC, color grading, stereoscopic 3D support, and audio and metadata management — and providing the ability to generate simultaneous faster-than-real time deliverables in all common file formats. Developed by the team that won the 2010 Scientific and Engineering Award from the Academy of Motion Picture Arts and Sciences for Autodesk’s Lustre grading system, On-Set Dailies makes its NAB debut with a number of major enhancements. LUT buddy sounds like a revolutionary tool. Traditional professional solutions cost tons of money and are fairly complicated to use. Can't wait to try it out! Baselight is Final Cut’s Newest Color Grading Plugin! Baselight is Final Cut’s Newest Color Grading Plugin! : "
You just read that correctly. NAB 2011 just kicked off a day early with news from Filmlight that they’re integrating high-end color grading app Baselight directly in the Final Cut Pro timeline! Grading done on a full-blown Baselight system can be exported directly into the FCP timeline and rendered within FCP. FCP has full access to all the Baselight functionality - grades created within the FCP plug-in can be exported to Baselight for final grading. Data is transferred between the two stations via XML – bypassing the more limited, but standardized, CDL (Color Decision List) framework allowing full integration between the two systems. 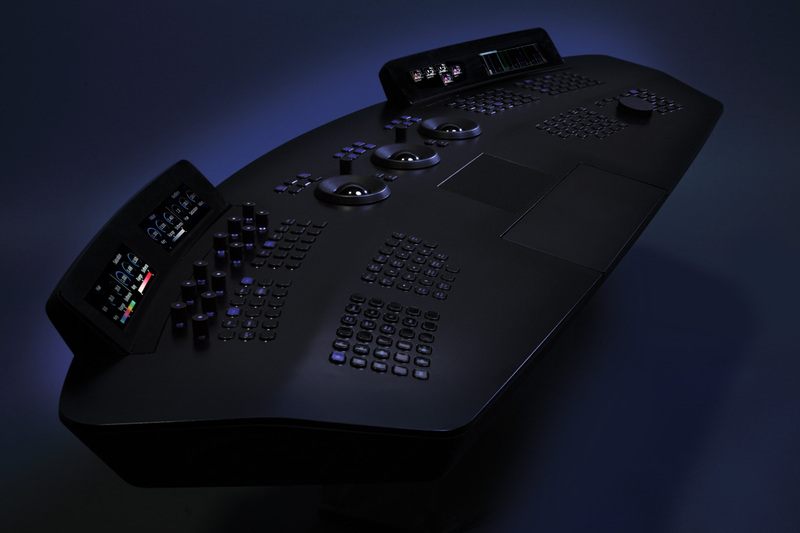 You will NOT need Baselight’s custom Blackboard control surface. Pricing: Under $1,000 (which I take to mean – they’re going to price it similar to DaVinci’s Resolve…). The plug-in marks the start of an initiative designed to make Baselight’s advanced functionality directly available within third party applications. In future, the technology behind Baselight for Final Cut Pro could be applied to other editing systems, as well as to visual effects and compositing systems. BlackBoard 2 – A redesign of their custom control surface, with a wood finish, haptic touch (provides touch feedback), and fully programmable buttons (the DaVinci control surface is not). New hardware to support: Red Rocket Card, 40TB of Raid 6 Storage, and a whole lot of cores. Introducing Pro Media Tools: "
We're proud to introduce our newest product, Pro Media Tools. Pro Media Tools is a suite of ten workflow utilities focused on processing and managing media, with functions including detecting gamma shifts, editing QuickTime movie metadata, batch renaming files and more. There are many features that have been in demand for a long time, including notifying when a render is complete, editing markers and adding timecode tracks and reel names to QuickTime movies. Pro Media Tools also marks our first foray into supporting multiple NLEs. Version 1.0 supports Final Cut Studio 2 and higher and Avid Media Composer 5.0 and higher for Mac*. The Avid support is primarily aimed at people using AMA workflows. Adobe Premiere Pro support will be coming shortly. Detects when a drive is inserted containing P2, RED, AVCHD or XDCAM media and can automatically copy it to your computer. It can copy to multiple locations at once and verifies the copied data to ensure its integrity. Various actions can be performed after the transfer has taken place, including showing the copied files in the Finder, opening up the clips in QuickTime Player or, if the clips are in a compatible format, importing them directly into a Final Cut Pro project. This is a tool for renaming lots of files at once. There are lots of utilities on the market that do this but what makes Batch Renamer different is that it is designed specifically for post-production workflows. Consequently, it can deal with a large number of files easily and there are lots of features for managing frame numbers, including reversing, adjusting padding, closing gaps and reordering. Scans video files to locate where edits and scene changes occur. It doesn't look for timecode breaks but in fact scans the actual video frames. This means it can be used on pre-edited movies or files without timecode tracks. Results can be exported in a variety of formats including Final Cut Pro marker lists, Avid locator files and EDLs. Allows you to compare two clips for shifts in gamma. It's designed for situations where you export a clip from an app such as After Effects and the resultant clip looks dark or washed out when compared to the original. Just navigate to the same frame in both clips and click the Detect Gamma button. It will compare them and give you a percentage difference between the two. You can then use this percentage to go back to the app and compensate for the shift. In some cases, the pixels will be identical but the gamma shift will be occurring due to a mismatch in metadata. In these cases, Gamma Shift Detector allows you to sync the metadata of the two clips with one button press. This app will show you all media, effects and markers in your Final Cut Pro project. It will show you how many times a particular media file has been used and allow you to batch enable/disable or remove filters. It also offers comprehensive marker editing capabilities including offsetting, custom printable data fields, label presets (to label all green markers as 'Needs VFX' for instance) and the ability to import Final Cut Pro marker lists and Avid locator lists into an FCP project. It's a great companion to Cut Notes, our note-taking iPad app. Edits QuickTime movies. You can add and remove tracks, import video and audio from other movie files, add timecode, add chapters (you can also import/export these as marker / locator lists and DVD Studio Pro chapter lists) and edit metadata. It took some of our beta testers a while to grasp this concept so I'll try to explain it as clearly as I can. Quick Bins is an automatic bin generator that speeds up sorting footage in your browser. There are several types of quick bins available. A Bin Range generates a group of numbered bins, allowing you to quickly create empty bins for scenes 1-100 in your movie for instance. A Smart Bin automatically sorts media into the bin if it matches the criteria you have chosen (e.g. 'scene greater than 11' or 'filename contains MVI_'). A Smart Bin Range takes this concept one step further, where you choose the criteria first and then Quick Bins automatically creates Smart Bins for each variation of the criteria. As an example, in the screenshot below I selected 'File Extension' as the criteria for the Smart Bin Range. Quick Bins went through all of the media files in the project and discovered files ending in .mov, .aiff and .tif, so it created new bins for each of these types and automatically sorted matching clips inside them. Watches Compressor batches, Final Cut Pro / Avid render files and any additional directories you specify for new renders. It can notify you with a growl alert, a sound, open the folder in Finder, open the clip in QuickTime Player, send an email, send a text message or send the file to another application such as Compressor. Performs common cleanup and time-saving tasks on Final Cut Pro sequences. It can collapse tracks, replace gaps with slugs, remove unused tracks, strip filters and more. Scans a video file for illegal luminance values, flash frames and audio peaks and shows the exact frame where errors are occurring. Can output results to FCP marker lists, Avid locators, CSV and text. The suite is available for an introductory price of $99 and there is a 15-day trial available here. It will run on Mac OS X 10.5 and 10.6 on both Intel and PowerPC computers. If you want to find out more about Pro Media Tools, check out screenshots and the user manual. We're always keen to hear feedback, so contact us to let us know what you think and how well the suite fits in with your workflow. We have many more post production tools available here. * Note: due to technical limitations, a few features of the suite are unavailable for Avid users. The Hobbit Goes 48p. Does This Change Everything? ARRI and Codex Digital release OEM ARRIRAW Recorder: "
announces that it has reached an agreement with ARRI to manufacture a Codex ARRIRAW recorder for use with ARRI’s popular ALEXA and ARRIFLEX D-21 film-style digital cameras. The new recorder will be marketed both directly and through ARRI’s worldwide reseller network. ARRI and its resellers will also be selling Codex camera mounts, datapacks and transfer stations. Technicolor Launches ShareVue™ Dailies Solution: "(Paris France, Hollywood California--April 5, 2011) Technicolor (Euronext Paris: TCH) today announced it has launched its next-generation dailies solution that facilitates and greatly enhances the viewing of dailies content on desktop, laptop and mobile device including iPad and Android tablets. Designed with industry professional’s input, ShareVUE™ gives all production stakeholders the flexibility to remotely view, comment and share content, playlists and other production information and metadata on portable devices, wherever and whenever needed. The new dailies solution provides a secure and immersive viewing platform for dailies and other production information, and an intuitive user experience along with pristine visual quality." Not DSLR Killers, But Killer DSLRs: How DSLRs Killed the Prosumer Video Camera: "
It seems the blogosphere is filled with talk about “DSLR killers.” Here are a few predictions ranging from the end of 2008 to March 2011: “Red unwraps ‘DSLR Killer’” by John Mello; “Sony joins the fray with (another) DSLR-killer“; DVXUser thread: “Panasonic AF-100 being called the ‘DSLR killer’. Any thoughts?“; “The Real ‘DSLR Killer’ For Filmmaking (No, It’s Not A Hasselblad)” by Neil Matsumoto. Indeed, I would argue that the DSLR was the prosumer video camera killer and the video camera had to evolve in order to stay in the game. Rather than “killing” the HDSLR, it seems the large sensor HDSLR market has been killing the prosumer video camera market. They’ve stepped up and noticed. They’re taking on the best of the DSLR features and are crafting cheaper video cameras with DSLR sensors in order to be competitive in the low budget cinematic market. Comparison of sensor sizes. Prosumer video cameras are the little rectangles in the bottom left of the screen, while DSLRs fall within the Four Thirds, APS-C, and 35mm full frame, allowing for more cinematic control over the image. Image courtesy of Wikipedia. Going back to the pre-Hi Def days of 2000, when George Lucas decided to shoot Star Wars II on a 1920×1080 24P Sony CineAlta HDW-F900 (modified the Panavision HD-900F), they used a f/1.5 lens on three 2/3″ sensors. But with a current street price of around $80,000, only professional shoots are within reach of this camera (rentals). Thus we can begin to see the significance of the DSLR APS-C sized sensors in the Rebel T2i/T3i at one percent ($800-900) of what the CineAlta costs! The DSLR revolution has struck the prosumer video market — they were the ones dying off and some have adapted. The low price point of the DSLR will ensure its survival. Indy filmmakers may use the Sony FS 100 more than the Panasonic AF100, due to Sony’s S35mm chip size and the smaller body and design work on it (aesthetics). The main thing you’re getting with these cameras that makes them a step above DSLRs is XLR-inputs — which is great for news and doc shooters, but filmmakers serious about capturing high quality audio will only use this as a back-up. They record audio on a separate recorder — typically with a field mixer and mic preamp — in order to get the best possible sound. At the same time, DSLRs are taking on the best of the prosumer video market, such as the flip out screens for the Panasonic GH-1 and GH-2, Canon’s 60D and Rebel T3i/600D. If the DSLR makers are smart, they will eventually create models with XLR inputs and a headphone jack, for those who do not want to record to external devices. Yes, Beachtek and JuicedLink offer XLR adapters, but you cannot monitor the sound going into the camera. In either case, DSLRs are not going away, because the price of the Sony is still over $3000 more than a Canon 5D Mark II and over $5500 more than the Rebel T3i. You can kit out a Canon T3i for $3000 with a shoulder rig, a couple of decent lenses, a Zoom H4n, a decent shotgun mic. If you want everything in one package, and you can afford it, then the Sony FS100 may be the camera you should use. If you’re on a budget or prefer the smaller form factor of a DSLR, us it. Nearly twenty percent of the films at 2011 Sundance were shot on DSLRs. They’re not going away. Not even close. ARRI Releases New ALEXA Firmware v3.1: "
ARRI has released the latest Software Update Packet (SUP), v3.1, for the ALEXA and the new ALEXA Plus cameras. All new cameras will ship with SUP v3.1, and it is available as a free download from the ARRI website for all current ALEXA owners. - Full support for both the ALEXA and ALEXA Plus cameras. - Integrated functionality with the ARRI Wireless Remote System (WRS) lens controller. This includes both generations of the ARRI transceiver module, known as the Yellow Radio and the White Radio. - Lens Data System (LDS) display on the ALEXA Plus. A later SUP will also capture this information in metadata. - Dual SxS card recording. Both card slots can be set to capture identical files simultaneously, making backup file transfers faster. - ARRIRAW frame grabs. In addition to the other formats already available, frame grabs can be captured in ARRIRAW. Sneak Preview of New Motion Stabilizer for After Effects: "
Filed under: After Effects Tips "
Light Iron to Launch Live Play During NAB: "Michael Cioni, Light Iron CEO and post production visionary, will officially launch the company’s iPad-based LiVE PLAY and mobile dailies applications at two separate events during the 2011 NAB Show.... "